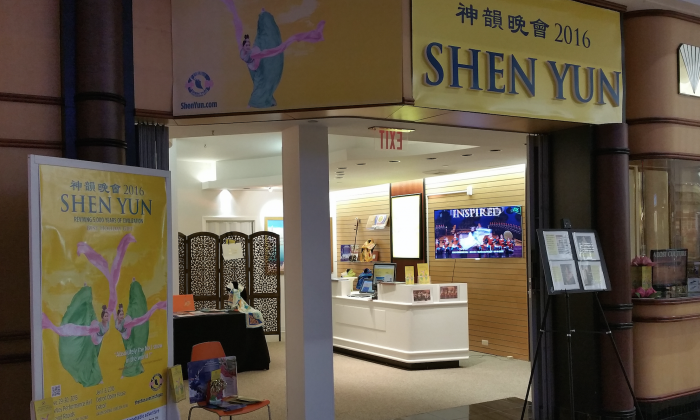 GRAND RAPIDS, Mich.—As Shen Yun Performing Arts Touring Company concluded its first show on Dec. 29 in the second largest city in Michigan, audience members were treated to a new experience: a revival of China’s divinely inspired culture through music and dance at the DeVos Performance Hall. Mikael Avequil, a chemical engineer and plant manager in Grand Rapids, together with his wife and daughter, received tickets to the show as Christmas gifts from his parents-in-law. All three were elated by the experience, but Mr. Avequil’s daughter—a viola player—was left yearning for more. “I really liked the music; it was really good. I would like to go see it each night, but I know I can’t,” she said regretfully. 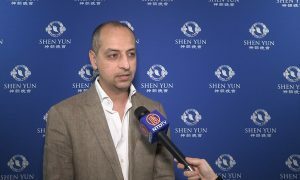 Mr. Avequil, who is French, has been living in France with his family for 12 years, and was particularly happy to see on stage a compatriot, Shen Yun principal dancer Madeline Lobjois, for whom he had high praise. “It was wonderful, so lovely, the music was great. The costumes were awesome with all the colors. All the dancers were very great, especially Madeline, the French girl. I saw the interview with her before coming to the show, so I was very impatient to see her dancing, and I am so impressed and proud that a French girl would lead the whole Chinese troupe. 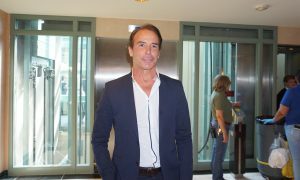 That was wonderful and she did a great job,” said Mr. Avequil. 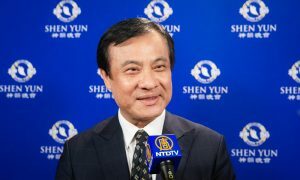 Shen Yun Symphony Orchestra’s all-original repertoire blends the spirit of Chinese music with the power of a Western orchestra, according to the website. Strings, percussion, woodwinds, and brass accentuate the sound of ancient Chinese instruments—like the two-stringed erhu, and the plucked pipa. 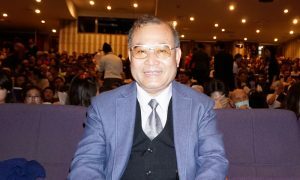 Mr. Avequil also commented on the way that the musical score accompanied the dances to match the intensity and narrative of the performances. “I love the way the music was accompanying the dance,” he said. “The music was gorgeous. I was so impressed and to hear that there were violas in there, that is our instrument. It was just gorgeous,” concurred Mrs. Avequil who plays in the community orchestra. 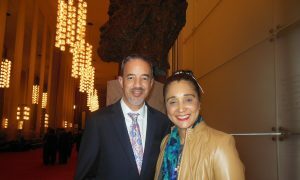 Shen Yun features story-based dances as well as ethnic and folk dances through classical Chinese dance. Colorful costumes are inspired from traditional wear of the many distinctive ethnic groups within and around China, as well as Chinese Han clothing and heavenly regalia. Some dances use parts of the costumes to create striking visual effects on stage. Delicate, silken sleeves, elaborate head-dresses and colorful handkerchiefs that are spun in the air effortlessly add to the visual feast, according to the website. The performance more than lived up to the expectations of the Avequil family, and fueled some of their aspirations for the future of their daughter. Mr. Avequil left wanting to tell his friends and family in Europe about the show. 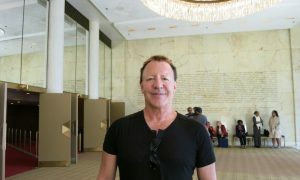 “I am going to tell them that they definitely need to see the show wherever it is in the world, in the states or Europe. 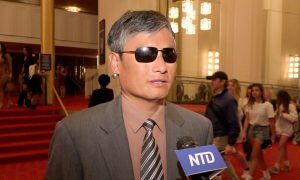 I recommend the show definitely, very much,” he said.